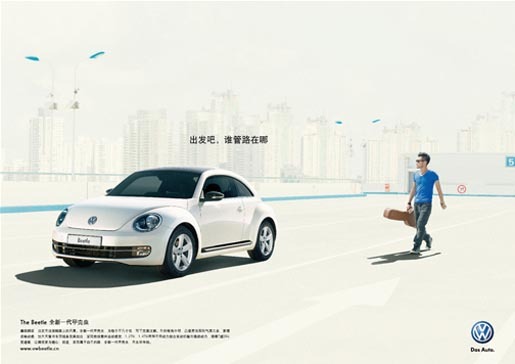 Volkswagen Group China is running an integrated advertising campaign promoting the Volkswagen Beetle as the car of choice for young Chinese men and women. The TV and print campaign features the tag line, “Fun. 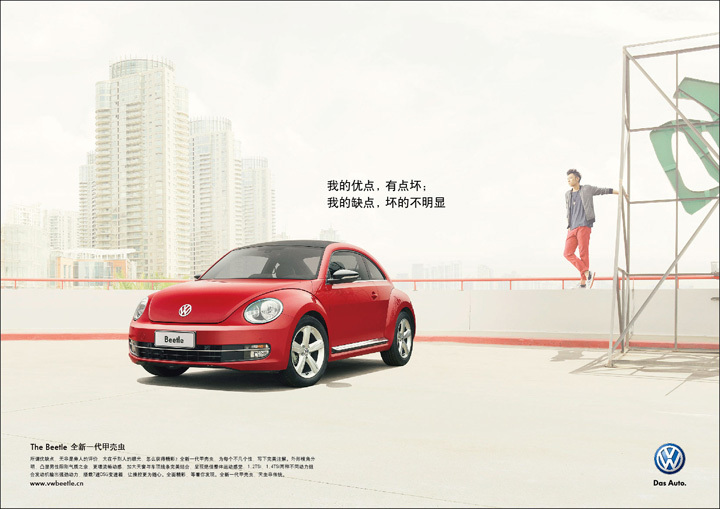 Don’t Leave it too late”, building the brand’s image of a more powerful, more dynamic and more masculine Beetle. “Senior Rebels”, the TV ad, features old people desperately trying to recapture the spirit of youth as they try out skateboarding, spraying graffiti, raving and other activities clearly beyond their physical abilities. 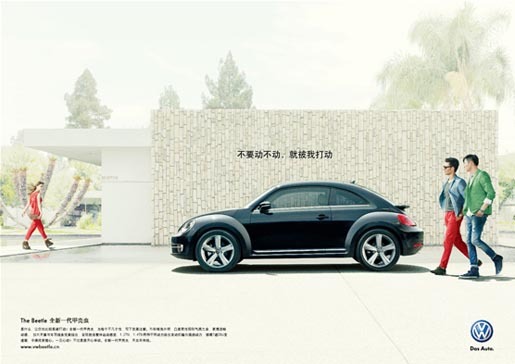 The “Unexpected” print campaign, featuring photography by Nick Meek, show the Beetle in the context of urban hip young adults. The Fun campaign was developed at DDB Guoan Group (DDB China) by global executive creative director Jeremy Craigen, executive creative directors Stephen Mui (TV & Print) Greg Bray (TV) TV art directors/copywriters David Mackersey and Jonathan John, print creative team Andy Hepburn, Stephen Liu, Norman Chen, Mustafa Tan, Ray Liu, Yu Zhao and Roy Yuan, head of TV Christine Kastens, head of art Lisa Kirchner, agency management team Miriam van Dijk, Horace Laai and Ella Liu, marketing director Melissa Bell, advertising managers Li Zhi and Cherry Wen. Filming was shot by director Steve Ayson via The Sweet Shop with director of photography Antonio Paladino, executive producer Claire Davidson and producer Maricel Ticar Santos. Local production was supported at Black + Cameron, Shanghai, by executive producer Tao Wright. Editor was Peter Sciberras at Method Studios. Visual effects were produced at SFG-Technicolor by VFX supervisor Barry Greaves and compositor Nicholas Bennett. Music is “Apple Pie” by Danish band Nelson Can. Photographer was Nick Meek with Siobhan Squire producer Jennifer Turner and Contra Service Productions producers Hans Dornseif and Muriel Dornseif.